Time to make additions to the Christmas Decorating in the living room. Moved things around a bit to make space for a freshened tabletop (faux mantel). The first picture is the final arrangement. 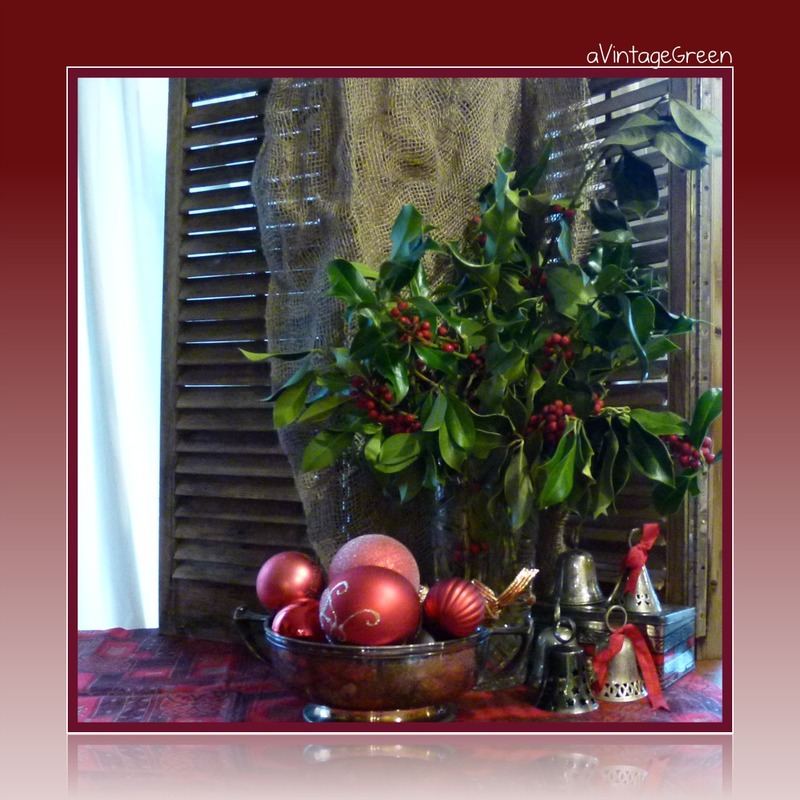 Burlap, weather worn shutters, holly in a vase, tarnished silverplate, christmas ornaments, all on a 'every year' Christmas table cover. I had time today to use the tripod and fuss a bit with the photos. Enjoyable pastime. An hour just slipped on by. 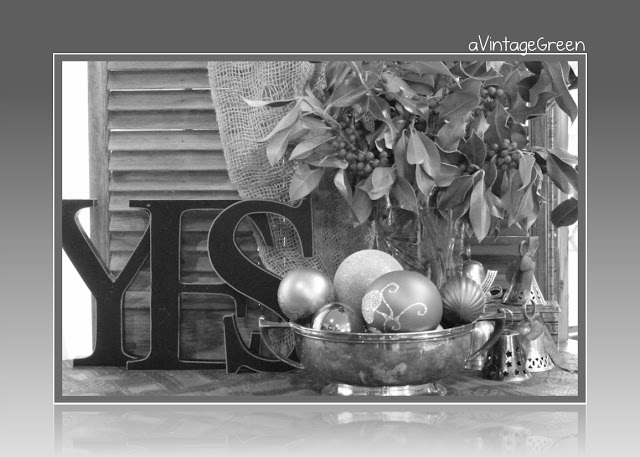 Those silver pieces & the Y E S sure make a statement!..Crazy about all the silver! 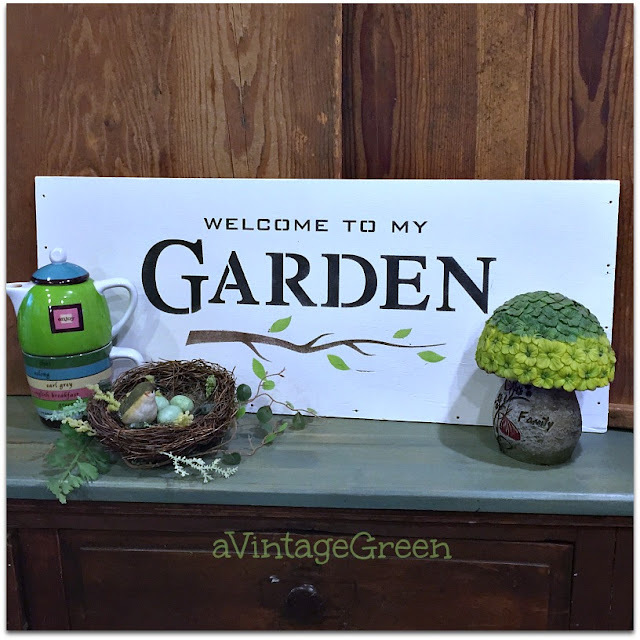 I love your banner and your way of displaying your photos on your blog! Beautiful! Very lovely, even in black and white. 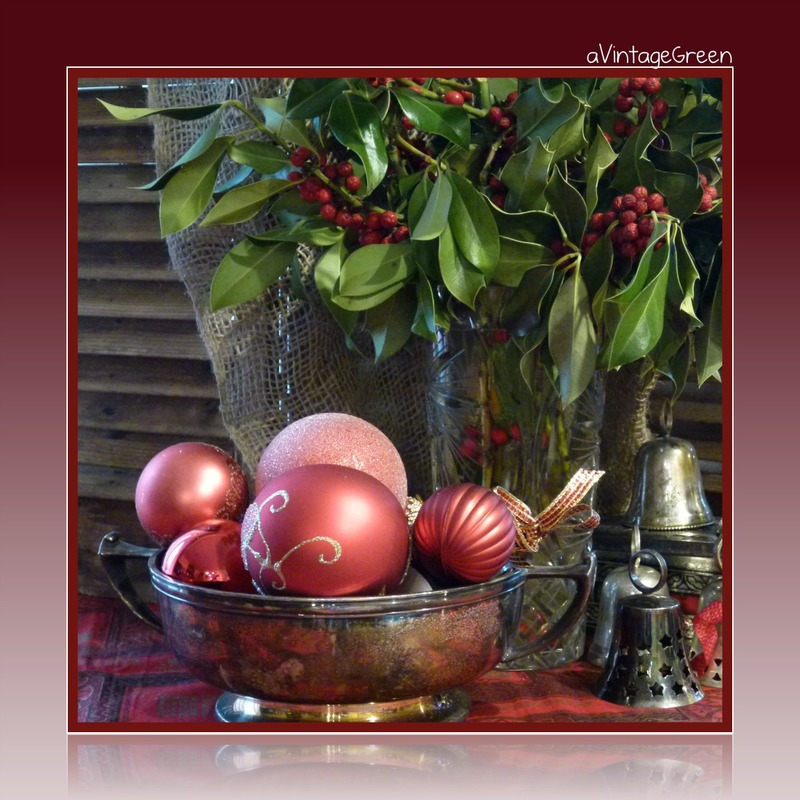 Love all your pictures and your faux mantel! I love all things burlap and the letters are great! I found you through Savvy City Farmer and am your newest follower. Lovely photos! I like your little bell collection. Isn't it amazing how quickly an hour can pass when you're doing something you enjoy? Have a wonderful weekend!